These are all in very good vintage condition. 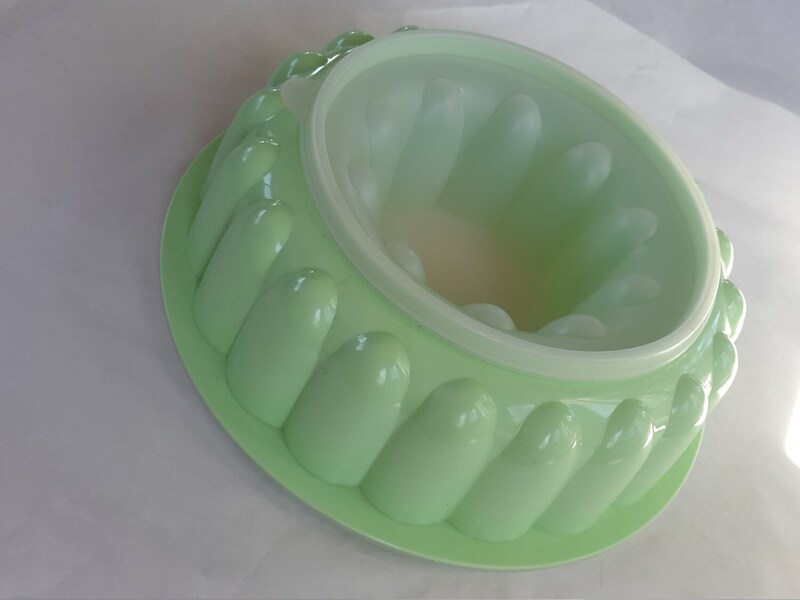 Tupperware mint green Jell-O mold with clear sheer snap out bottom and tight fitting lid. 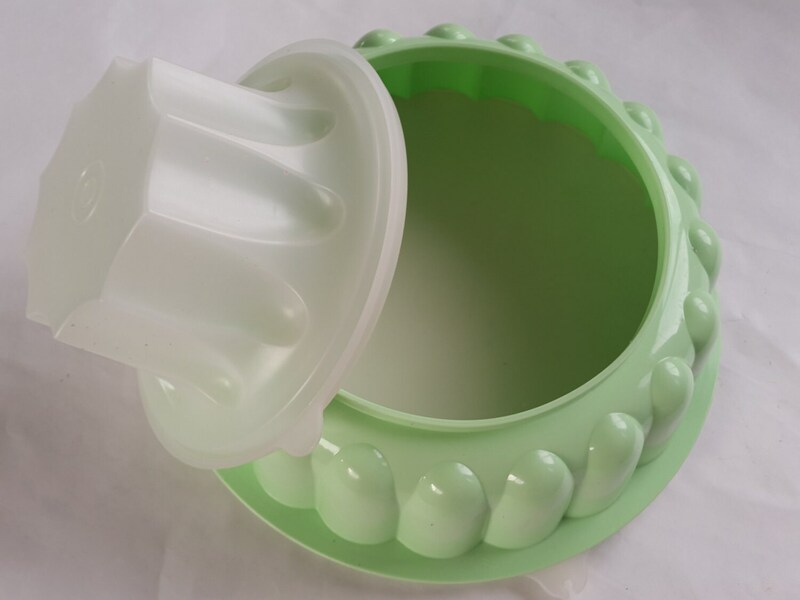 It has a 9" diameter and stands 3" tall. 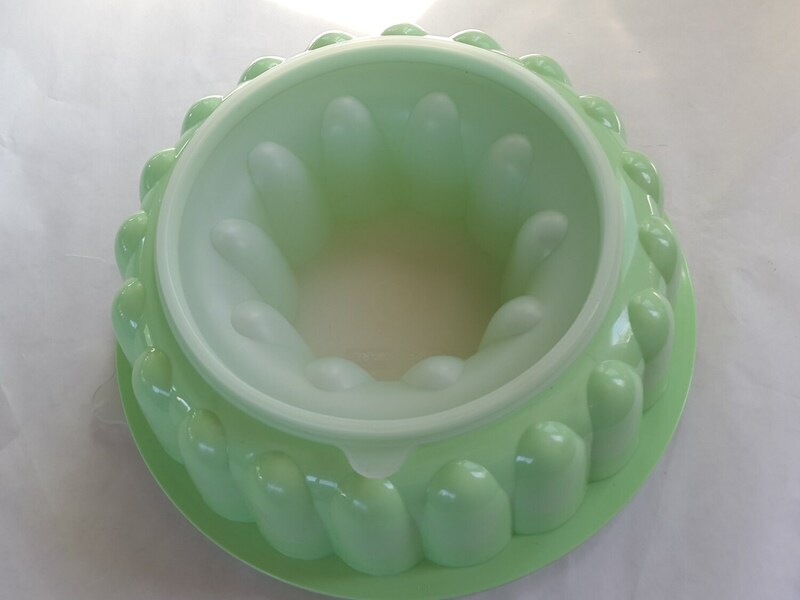 This Jello mold is in excellent condition with minimal normal wear. 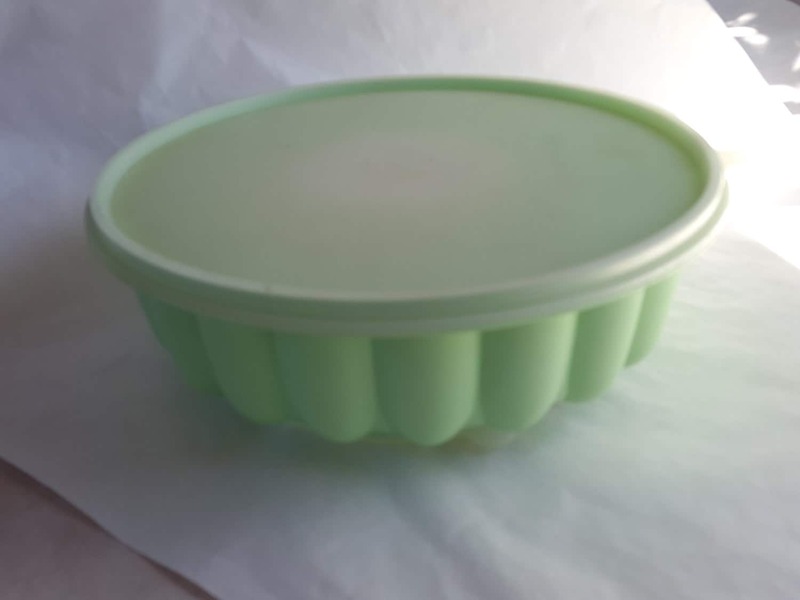 Please check out our other Tupperware items. ** Combined shipping may not always tally up correctly. 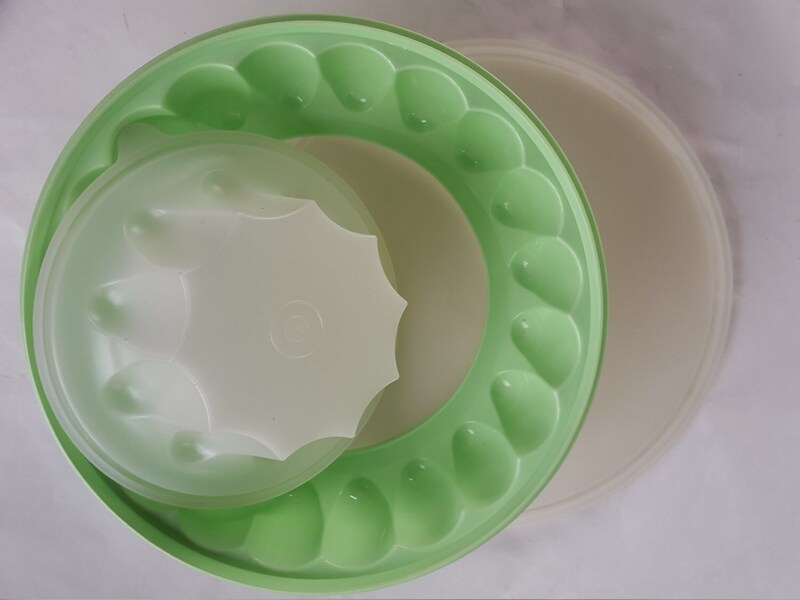 Please contact us for a more accurate shipping cost. We automatically return any combined shipping overage greater than $2.00.